Hi fellow pitbull lovers. I too fall into this bracket and i am not going to let the law stop me from having a breed that i love and respect. 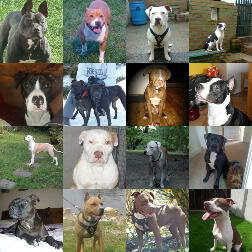 I admire all types, red nose, bully, blue nose, apbt, SBT, irish but especially the AMSTAFF. im sure you will agree it is a beautiful dog, well i am in search for a good quality breeder, i hear ireland is place to help me, so if anyone has any information on amstaffs it would be great to hear from you, i have been looking into this for some time now. There is a possibility to get one imported from Hungary, who the breeder says he can import one to ireland no problem, does anyone know any information on this also? Welcome..but as jumper says anybody who care for the breedin wont let a dog go to uk..
Technically Amstaff's are not illegal in the UK. Being AKC recognised and by their afiliated organisation's around the world make's them a recognised breed and not a type. It's complex but legally they're legal. If anyone does get them in he'd have to register them withe KC and attempt to show them as a rare breed in an attempt to protect them plus profiling of parents etc. Cause if they were seized as a type he'd have to show a court the difference's between breed and type. is it true to say that some KC sbt's were siezed in the u.k. because they measured up as pitbull types, and a certain no. of these sbt's that were given back were sterilized without the owners consent while in the care of the authorities? some may have even been pts ? As I said it's complex. Most authorities here wouldn't know one end of a dog from another. And not much about the law either, so explaining thing's to would be like talking to a brick. Especially if you meet a job's worth. What you say above is true that genuine SBT's have been destryed as a result of the dda also crossbreeds with no apbt ancestry. And that some owner's of APBT's have tried to say they're dog's are SBT's and ISBT's in a fight for their dog's. Some dog's have been returned to their owner's (without trial) only to be seized again and later convicted. Some APBT's have even been found to be something else and returned to their owners after a trial, which make's them and their offspring legal. And make's the dda the stupid legislation it is. The arguement's in court have to be heard to be believed. You have no idea what a prosecution expert will say unlesss you've sat and listened to these so called expert's just what they'll say to kill a dog. My favourite is when a SBT show judge actually said as evidence that if a dog grow's 2 inch's above it's breed standard it automatically then becomes another breed. Anyone bringing in an Amstaff openly would have to do his homework and plan ahead for all senario's. I personaly would not like a dog linked to me via a microchip to end up being confiscated in the u.k.
My favourite is when a SBT show judge actually said as evidence that if a dog grow's 2 inch's above it's breed standard it automatically then becomes another breed. Hi i'm also from the uk alough i dont have this problem the dogs in the uk are EVERY bit as good as the dogs in ireland the usa or infact anywhere in the world alough there hard to find they are there but hidden and unless you no how to find them you never will..